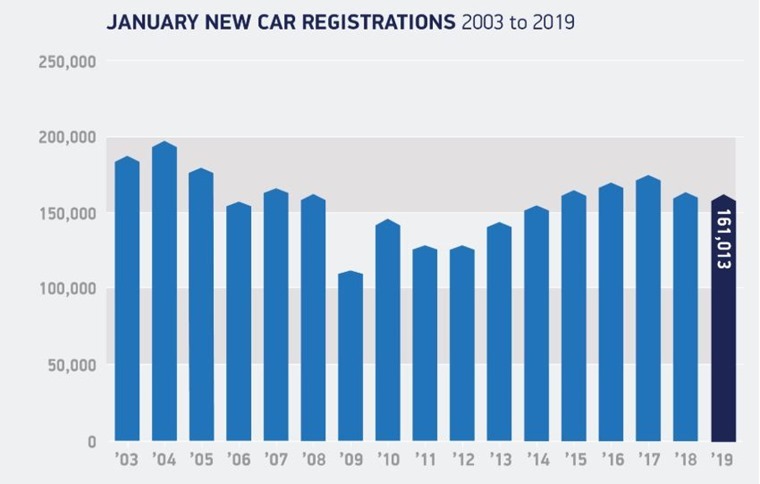 161,013 new cars were registered in the UK in January according to the latest figures from the Society of Motor Manufacturers and Traders – that’s a fall of 1.6% compared to the same month last year. Following a decline in December, private buyers returned to showrooms – up 2.9% – registering 71,378 models in the month. However, demand from business and fleets fell by -33.5% and -3.4% respectively. The biggest story, however, is that the market for alternatively fuelled vehicles (hybrids, plug-ins and electric) grew 26.3% year-on-year – resulting in a market share of 6.8%. Some 86,000 of these cars are set to be ultra low emission plug-in hybrids and battery electrics – taking plug-in market share to around 3.7% as an ever-increasing number of models come on sale. However, this level is still at the lower end of government ambitions, underlining the need for greater purchase incentives and investment in charging infrastructure. 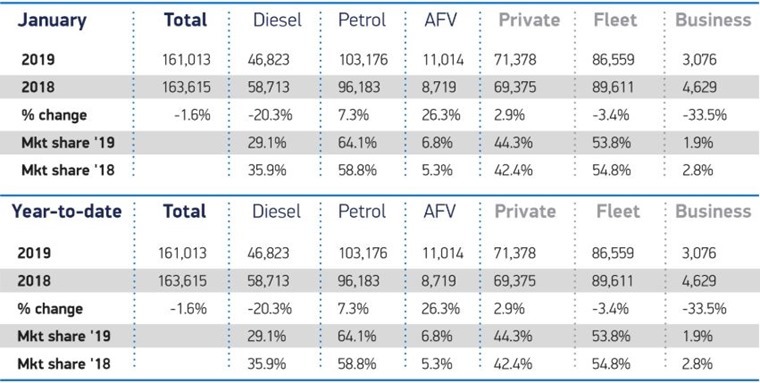 Meanwhile, diesel registrations continued to fall by 20.3%, while demand for petrol models grew by 7.3%. SMMT chief executive Mike Hawes said: “It’s encouraging to see car registrations in January broadly on par with a year ago as the latest high tech models and deals attracted buyers into showrooms. This, however, is still the fifth consecutive month of overall decline in the market. Some premium manufacturers suffered from falling registrations more than others, with Audi and Porsche numbers falling 27% and 42% respectively year-on-year. Jaguar Land Rover numbers were down too. However, Volvo benefited from a 80% increase in registrations – clearly boosted by the new XC40. 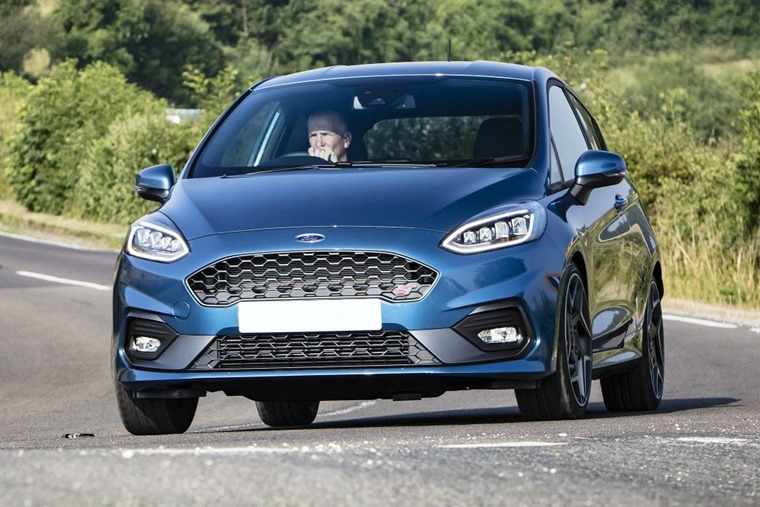 Model-wise, Ford’s Fiesta and Focus models were January’s favoured models, with the usual Nissan Qashqai and Volkswagen Golf taking third and fourth position. Mercedes’ latest A-Class continues to make its mark in fifth place, while the C-Class also managed to make it into the top ten.